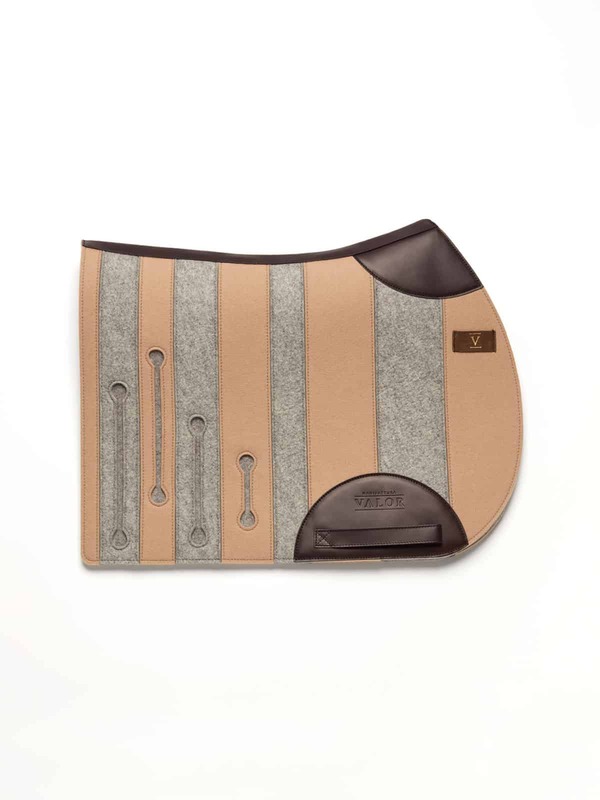 The striped woolen saddle pad with trimmings made from calf nappa and a unique double-layer effect with iconic VALOR cut-outs is made from 100% pure, natural merino wool felt. The custom-tailoring to the horse’s spinal curve makes this blanket a perfect fit and extremely comfortable to wear. 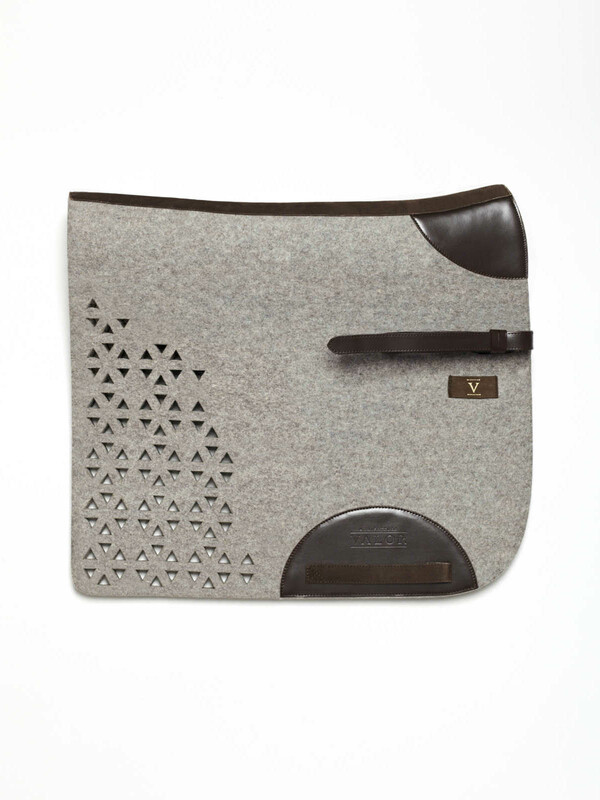 The natural and highly versatile material has delivered optimal performance as a horse friendly saddle pad for hundreds of years and was converted into its extravagant look in the VALOR studios. The saddle pad is extremely breathable and thermo-managing, and thus helps to prevent muscle and skin problems as well as heat accumulation. It is antistatic, odor resisting, and durable. Finally, it provides optimal shock absorbance for a horse-friendly, comfortable and enjoyable experience, and thus ensures a relaxed back even after strenuous training.